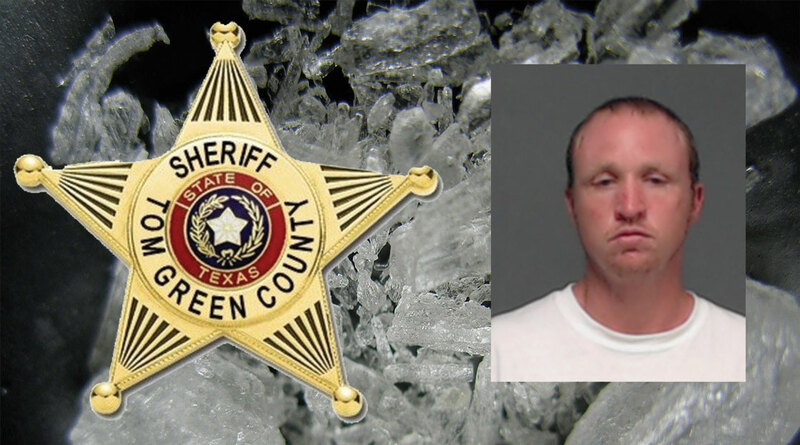 SAN ANGELO, TX – A man was arrested on Wednesday after a traffic stop led deputies to find Xanax bars and Methamphetamine. On April 10, a Deputy with the Tom Green County Sheriffs' Office pulled over a silver Ford Mustang for not having a front license plate. The deputy met with the driver and he identified himself as 31-year-old Daniel Clift. The deputy ran the information he was given by Clift and found he did not have a drivers license, had expired registration, and no insurance on the vehicle. He then got permission from Clift to search the Mustang. The deputy discovered a glass pipe with a white residue on it, a plastic bottle that was altered to smoke out of, a plastic bag with Xanax inside, and another bag with a white crystal substance. The bag was tested positive for methamphetamine and was weighed at 11 grams. Clift was charged with possession of a schedule one controlled substance, possession of a schedule three controlled substance, displaying fictitious vehicle registration, driving while license invalid, expired motor vehicle registration, no proof of financial insurance, and possession of drug paraphernalia. He is currently in the Tom Green County Jail on a $39,090 bond. Very intelligent Guy. Load up all the drugs into an illegal vehicle, and drive with no license.